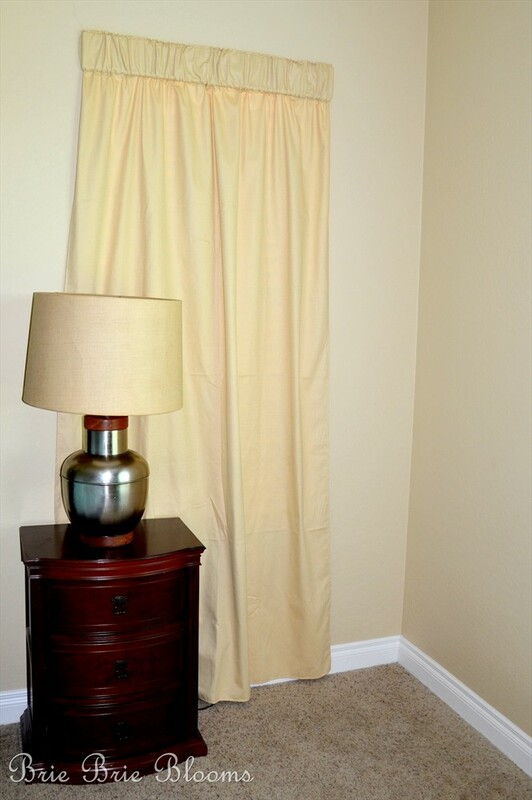 We have lived in our home for a almost two years and I had yet to hang curtains in our bedroom…until today. 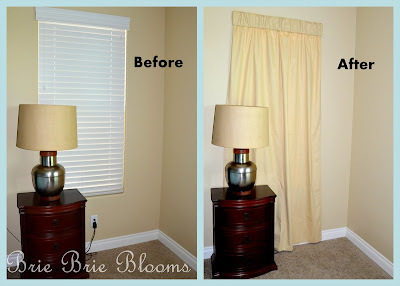 I’m not ready to reveal all the changes I’m working on in the bedroom but I will happily share my quick curtain trick. The walls in the room are a dark beige and our furniture is dark/cherry wood. I’m really excited for a transformation bringing in some teal and brown accents but I had a difficult time deciding on curtains. 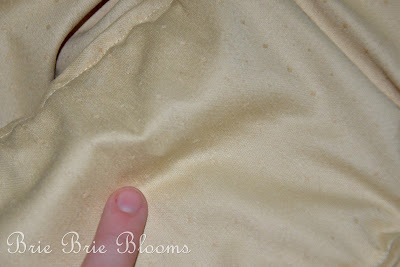 I’ve been seeking out fabric to make four panels for well over a year. I finally stopped searching and pulled out curtains I had made for our last home’s master bedroom. My first thought was that they were boring but I decided with the right accents in the room I’m okay with plain curtains. My next problem was I didn’t have any curtain rods hanging in the room. This meant I had to 1) invest in either the rods or supplies to make my own, and 2) hang them. I was quickly losing my motivation this morning. Then I realized I could hang the curtains directly on the wood valance above the blinds. 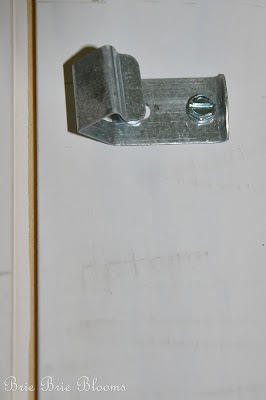 The valance was attached to the blinds, not the wall, with a metal clip. 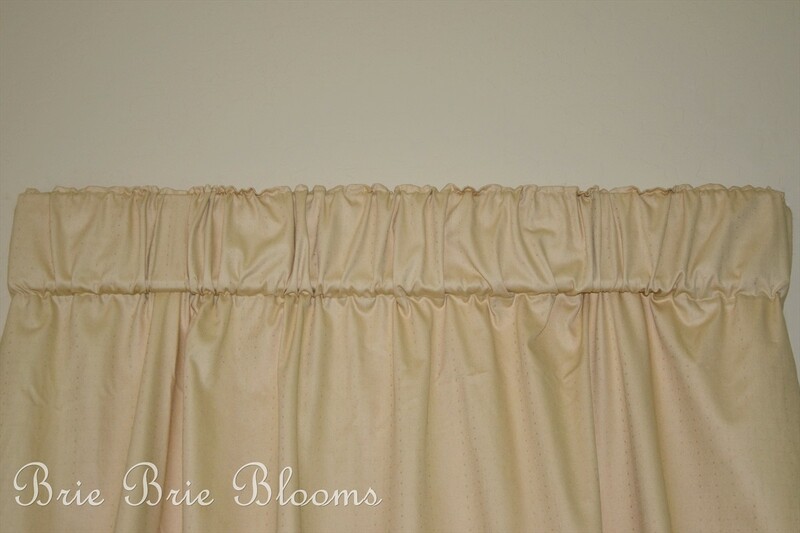 I slid the curtains onto the valance right over the metal clips on the back. 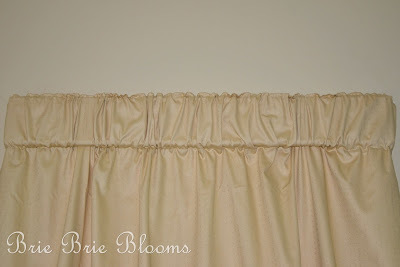 Then I hung the valance back on the window. The clip easily slipped back onto the blinds. I have a lot of work to do in this room but I’m excited to see one thing checked off my list. Pretty nifty =) Thanks for sharing!